Comprehension is the ultimate aim of reading and listening. How do children develop the ability to comprehend written and spoken language, and what can be done to help those who are having difficulties? 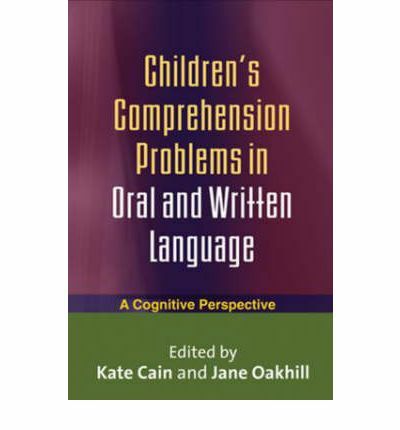 This book presents cutting-edge research on comprehension problems experienced by children without any formal diagnosis as well as those with specific language impairment, autism, ADHD, learning disabilities, hearing impairment, head injuries, and spina bifida. Providing in-depth information to guide research and practice, chapters describe innovative assessment strategies and identify important implications for intervention and classroom instruction. The book also sheds light on typical development and the key cognitive skills and processes that underlie successful comprehension.